There's a new brewery in Portland. Big surprise, eh? 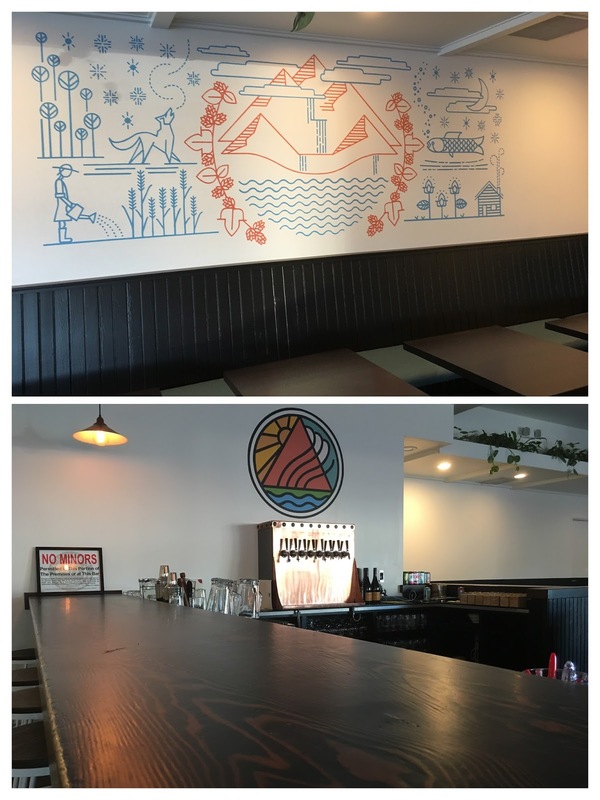 Second Profession Brewing is now open on Northeast Sandy Boulevard, taking over the space formerly occupied by BTU Brasserie. Owner Charlie Goman, a homebrewer with Wisconsin roots, hopes to build a following on the German/Northwest gastropub model. The pub recently reopened under the Second Profession (I'll get to the name) banner and is operating on a limited beer and food menu for the next couple of weeks. They'll hold a grand opening bash Oct. 27-29. 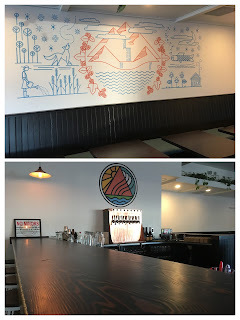 In the meantime, they're in soft launch mode, open Wednesday through Sunday, 4:00 to 10:00 p.m.
You may recall the defunct BTU, which operated for a couple of years as a brewpub with Chinese-style food. 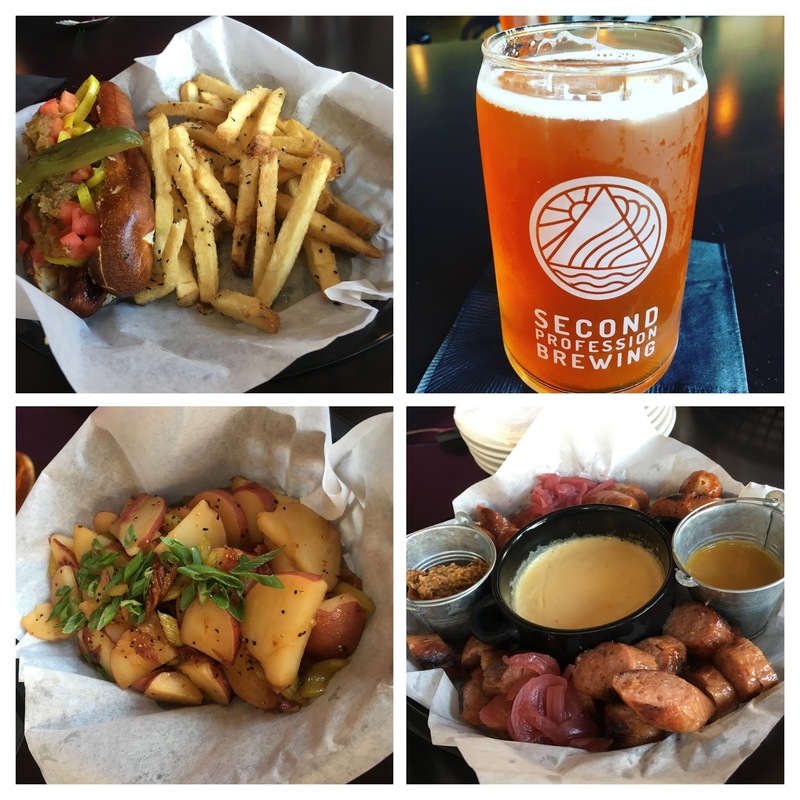 The food was better than the beer, but the owners were never quite able to successfully meld the business' two identities and the place floundered. Awkward. Goman had been interested in starting a brewery for several years when he stumbled on the mothballed BTU space. He was bored with his career in copier sales and IT-related work. A whiteboard wish session suggested a future in brewing. A sign on the BTU door said, "Closed for Spring Cleaning," but the place was closed permanently and up for sale. Goman jumped in, seeing a potentially great location with a brewery already installed. It's no small thing for a brewer to find an arrangement like this. It's similar to what happened with Charles Porter, who was able to access a turnkey brewery for Little Beast Brewing in Beaverton, relieving him of the expense of building a brewery from scratch. 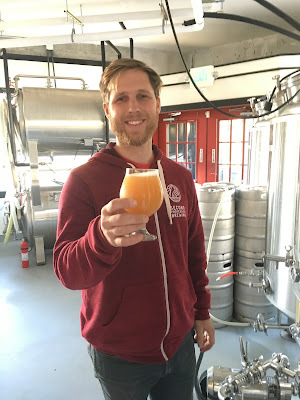 For his part, Goman "loves beer" and "hopes to provide a unique experience" at Second Profession. If you haven't heard something like that a gazillion or so times, you probably haven't been around Portland's craft beer scene very long. Standard schtick. But it might just work out for him. The revised pub layout is pretty much as it was in the BTU era. It's a bit brighter now, with white walls and modern-themed, German folk artwork. The brewery, a 7 -bbl system, has been cleaned up and tuned up with the assistance of brewery consultant, Marc Martin. It's ready to roll. Three beers poured at a recent media preview included a Rye-IPA, a Pale and a Farmhouse Ale. All seemed decent enough. More styles are in the works,, including lagers, which were part of BTU's failed plan. The brewery's horizontal lager tanks are designed to make them and lagers will be a nice fit for gastropub fare. Nonetheless, the future of Second Profession will likely be determined by food, not beer. Why? Because the clientele in this area is more likely to be driven here by food than by beer, regardless of how good the beer may be. Goman intends to offer what I see as stripped down German comfort food. We're talking brats, warm potato salad, garlic fries and a variety of greens. Simple stuff. This clearly isn't going to be as upscale as Stammtisch or Prost, which is fine for the area and this space. Keep in mind there is no more Gustav's or Rhinelander down the street. That building was demolished months ago. Choices are somewhat limited in this corridor. A place that offers a simplified comfort food menu alongside decent beer has an opportunity to do well. A potential obstacle is the oddly shaped and visually awkward space. I suspect it was a problem BTU struggled with. The place just looks odd when you walk in, with the bar jutting out into the seating area. To me, the layout is better-suited to a casual pub than a more formal restaurant. So it could work out here. If patrons come, the relatively small size of the space may become an issue. That's a problem Goman would like to have, but we'll have to see how it goes. The name has been the subject of a social media thread and blog post. It is not particularly well-imagined in my mind. Goman's description of how he came up with it makes good sense...he sees the place as his second career or profession. It's personal. But Second Profession has little pizzazz. It's not a name that conjures up much excitement. Nope. Of course, it could be worse. As someone on social media commented, the place might have been called Oldest Profession Brewing. That's going to happen one of these days, as the industry gets edgier and edgier. You heard it here first.